Strangeness was certainly in the air before the Houston Dynamo were set to play the Portland Timbers in week 3 MLS action. Both sides had gotten off to strong starts - Portland's offensive arsenal has been impressive in 2 different matches while Houston has seemed to reignite the career of Erick Torres by adding new options up top. With Portland and Houston undefeated to start the year, the experts were calling this the biggest match of the early season, and I'm glad to say that it didn't disappoint in many aspects. After the first half that saw 2 very odd penalties and a lethal Dynamo counter give them the lead at the break, Portland stormed back with 3 goals in a wild second half to post an impressive 4 to 2 victory. What made the result more noteworthy was what Timbers Coach Caleb Porter called the "next man up" philosophy of this early season due to injuries. After losing Gbenga Arokoyo to a season ending injury, Lawrence Olum has been stellar as one of the center backs, but after Liam Ridgewell suffered a foot injury, Olum has been paired with Roy Miller for the past 2 matches since Miller joined the team from Saprissa recently after being signed in the offseason. 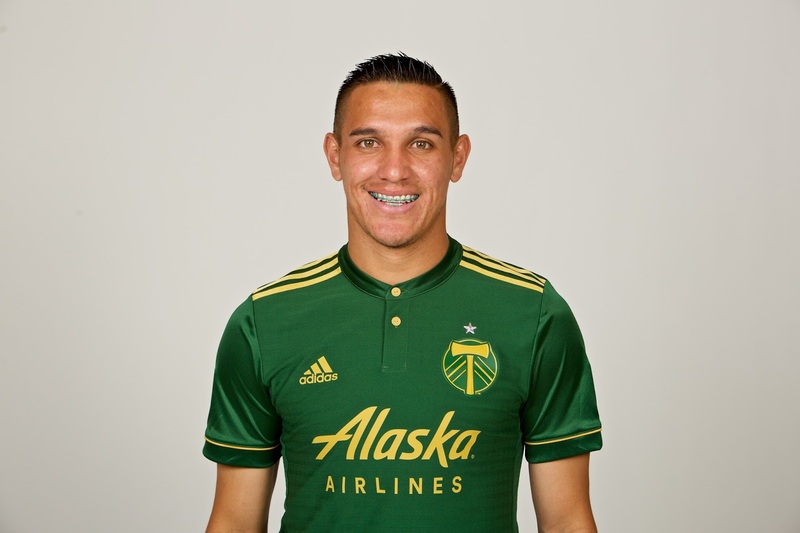 Left back Vytas suffered a calf injury in the season opening win over Minnesota United, but young back Marco Farfan held up well in the Timbers 1 to 0 victory over Los Angeles and was expected to get the start versus the Dynamo. However, Farfan succumbed to a bout with stomach flu, and Porter went to the "next man" in starting Zarek Valentin along with Miller, Olum and Alvas Powell, who has also been dealing with a knock since the MUFC match. Porter was buoyed by the news that David Guzman, who left the Galaxy match with a shoulder injury, was able to start alongside Diego Chara to support the fearsome foursome up top of Darlington Nagbe, Diego Valeri, Sebastian Blanco and Fanendo Adi. This group has produced 6 goals in 2 matches, but Houston's defense had been solid early in their own right. The Dynamo have watched Torres, a former Chivas USA player known for lengthy goal scoring streaks, struggle to acclimate to the side in 2016 after he was acquired by the Dynamo. Dynamo Coach Wilmer Cabrera has not only embraced getting Torres more involved, the team went out and signed two Honduran attackers, Romell Quioto and Alberth Elis. With Juan Cabezas joining the club as defensive midfielder alongside holdovers Alex and Ricardo Clark, Houston has shown an ability to counter attack at a moment's notice, and the new backline in front of goalkeeper Tyler Deric - former Galaxy defenders A.J. DeLaGarza and Leonardo and newly signed Adolfo Machado joining DaMarcus Beasley - has done well collectively to overcome the few chances that have come their way. Much like the Timbers, Houston's defense relies upon proper positioning and movement to cover marks which starts with 1 on 1 defensive, but they also expect that Beasley and DeLaGarza (or whomever is playing their fullback role) to get forward as much as possible to aid the attack. After a couple of early misses for both sides, the Timbers would get on the board in the 11th minute courtesy of a Valeri penalty kick. A cross from Blanco into the Dynamo box hit Beasley's tucked in arm, but Center Official Allen Chapman gave Portland the early lifeline and Valeri didn't miss as he smashed the effort past Deric for the early 1 to 0 lead. The goal seemed to settle in Houston, however, as they turned up the pressure out wide and pushed attempts throughout the next 25 minutes to keep Timbers goalkeeper Jake Gleeson and the defense on their toes. In the 37th minute, Houston got the equalizer after Miller had been judged to bump Torres just outside the Timbers box for a free kick. Torres took the restart that struck Chara in the elbow inside the box, and Chapman awarded the penalty for the visitors. Torres beat Gleeson easily to level the score, and then unleashed one of the oddest post goal celebrations I have ever seen. It appeared the teams would hit the break level, but Houston caught Portland's defense napping off a counter, and Quioto found plenty of open space to run into a pass from Elis in the penalty area, and with his easy finish, it was 2 to 1 Dynamo at the break. 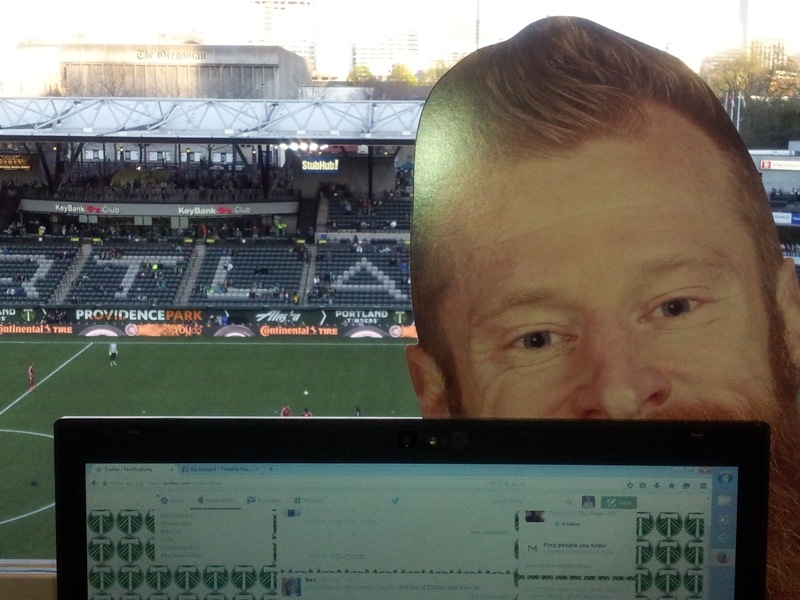 Timbers fans were very upset at Chapman's calls and the officiating crew left the pitch to a chorus of boos from the home side. Porter indicated in his post match comments that he made 2 stark adjustments to the Timbers attack - push Nagbe out wider and ask Valentin to push forward to keep the Dynamo midfield more central. 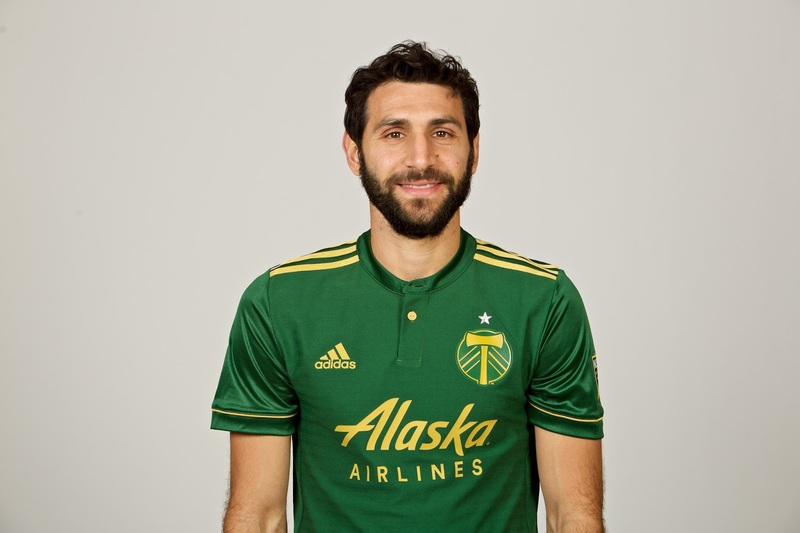 The adjustments along with increased tempo allowed Portland to press further, and after key misses from Chara and Nagbe, Valeri got his second goal in the 58th minute to draw Portland even. With Valentin pushing wide off a through ball from Adi, the Timbers defender put a cross to the spot that was just over the head of Guzman but in the wheelhouse of Valeri, who headed it past the keeper for the goal. The pressure continued for several minutes with chances for Adi, Guzman and Nagbe, but after a blocked shot for Darlington, he found his rebound and dropped a lovely through ball for Guzman in the box, and the defensive midfielder scored his first goal as a Timber in the 66th minute to push the score up to 3 to 2. The press continued throughout the rest of the half, and Adi entered his name in the scorebook in the 88th minute off a Guzman through ball that caught Houston outnumbered. Adi was able to outmaneuver 3 Dynamo defenders and Deric to slot his shot in, which was impressive considering he had missed similar chances earlier in the half. The Dynamo registered their only official shot on goal in the second half in stoppage time, but otherwise, the visitors were kept in check through the final whistle. The result gave the Timbers their 3rd win in March and a now perfect 3 - 0 - 0 start. While the goal scoring was impressive, I was amazed by Guzman even playing after his shoulder injury, and he was simply stellar in patrolling the midfield. While the defense had a couple of rough patches, I have to complement Valentin for stepping in - apparently he didn't know about starting until game day when he got a text from Porter - while Olum and Miller did reasonably well. The hold up play for Adi and Blanco helped stretch the pitch all night, which allowed Valeri and Nagbe to distribute and move more freely, especially with Chara and Guzman holding the middle. It was a signature win, but the team can't celebrate this too much as they have a key road match on March 25 when they visit Columbus. Portland will be without 2 key players - Nagbe and Guzman have been called up for World Cup qualifying matches for the U.S and Costa Rican National Teams next weekend - but the mantra of next man up has certainly worked so far for them in this wonderful start to the 2017 season. My man of the match really comes down to 3 players - Adi, Blanco and Guzman. Adi was simply outstanding at occupying space and defenders, and that forced Houston to leave other players open, mostly Nagbe and Valeri. When they failed to contain Nagbe, it gave Valeri all the space he needed. Blanco was another aspect of using space, but I watched him also tirelessly run back and recover on defense countless times. With Porter choosing not to use any substitutes, I do worry about some guys getting run down even in the early season, but Blanco is showing easily why he should be a lock to start when available. I didn't think Guzman would even play after partially dislocating his shoulder versus the Galaxy, but he showed extreme toughness to not only play, but excel for the full match. Kudos should also go out to the defensive line, which played very well for long stretches and kept Gleeson from having to deal with much.